Plot 2 is a studio apartment located on the 1st floor. Specification includes fully fitted bathrooms and kitchens with integrated appliances, ceramic tiles, chrome down lighters and quality flooring. The Lock is conveniently located in very close proximity to the main shopping and office districts of Swindon's town centre and within short walking distance of Swindon's central business district and also easily accessible to London with only a five-minute walk to Swindon Railway Station. A prime development in an excellent and well-established commuter location for working professionals! 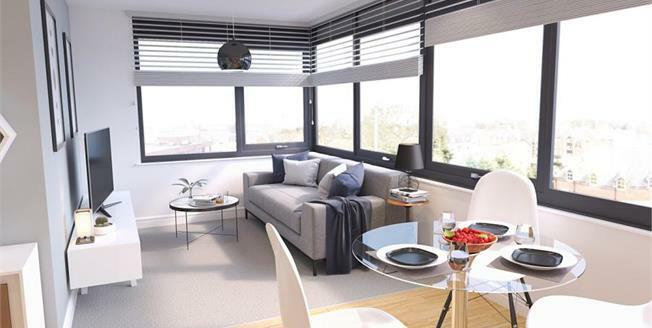 Whether you are looking for a studio, one-bedroom or a two-bedroom apartment the remodelling and regeneration of this superb development will not disappoint. - Help to buy is offered on this development. Call now to arrange to view!